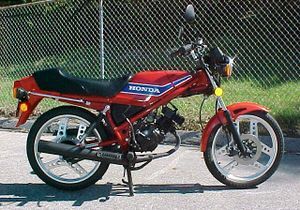 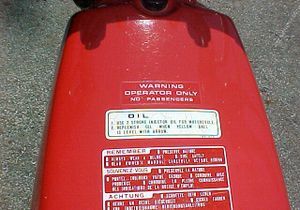 The Honda MB50 is a 50cc, two stroke, single cylinder, street motorcycle manufactured by Honda. 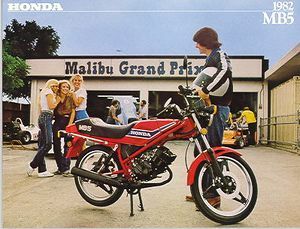 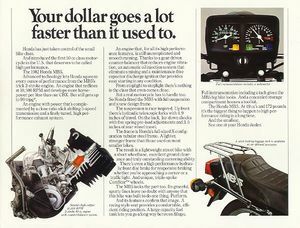 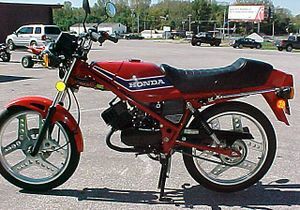 It was produced in 1980 that was a cross between a motorscooter and a sport bike. 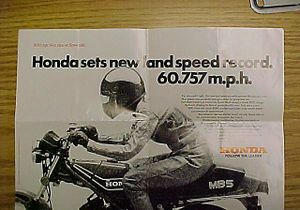 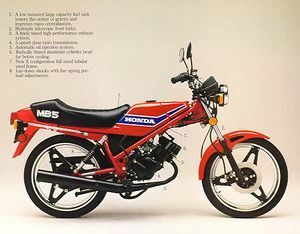 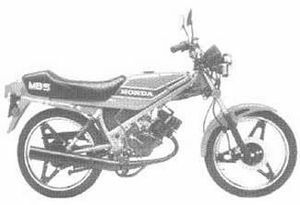 It was not intended to be a fast bike but it did have several features normally found on bigger bikes: a speedometer, a tachometer (with a redline of 10,500 rpm), front disc brake, and Honda's Comstar wheels. 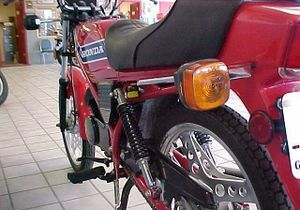 The saddle provided space for a passenger, but the bike would have difficulty carrying more than one rider. 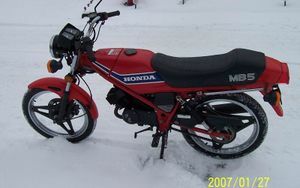 The MB-5 was only produced for 1982 in the U.S., but was more popular in Europe(1979-1981). 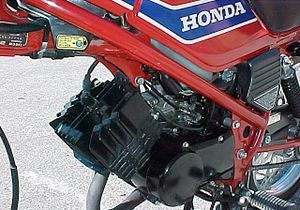 Engine: 49cc 2-stroke reed valve single cylinder with an oil injection lubrication system. 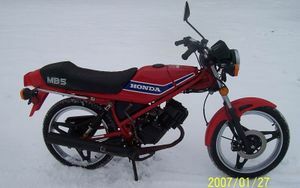 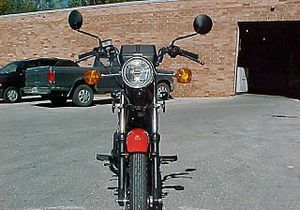 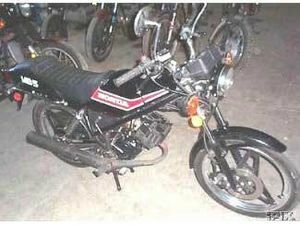 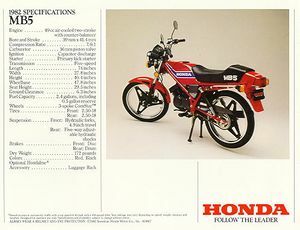 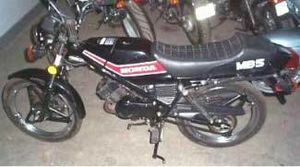 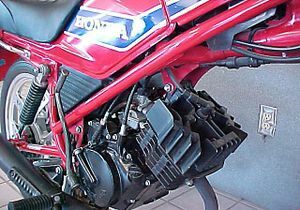 Honda MB5, pics, parts, etc. 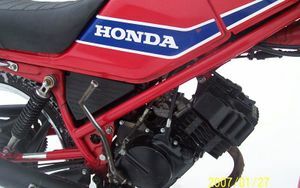 This page was last edited on 20 January 2011, at 23:51.